In November 2007, in a special issue dedicated to Cousteau’s heirs, the magazine Géo named Claire Nouvian ‘the planet’s guardian angel’. The article emphasized her extraordinary character and acknowledged her total commitment to the protection of the deep-sea, which, despite being absolutely essential to the planet’s equilibrium, are particularly misunderstood and vulnerable. The Backstory: In 2001, whilst on a reconnaissance trip for a film at the Monterey Bay Aquarium in the United States, Claire discovered incredible images of creatures of spectacular shapes and astonishing colors. These were unidentified animals, some of which had been filmed at a depth of 4000 meters. Captivated and dazzled, she sought to learn more about them, perplexed by the fact that there was no introductory document about the deep sea available to the general public. Her feelings quickly turned to outrage on discovering that the deep sea had been exploited by industries for nearly 30 years, and that no treaty or law protected international waters, even though they cover two-thirds of the planet. Consequently coral reefs, that can take up to 10,000 years to form, are razed in a matter of minutes by gigantic nets dragging ballasts weighing several tons, irreversibly destroying a biologically diverse landscape that is still virtually unknown to man. This flagrant injustice spurred Claire Nouvian to launch, body and soul, into a race against time. The aim: create a collective conscience to tip public opinion in favor of the protection of the deep sea. The method: utilize all existing means of communication to help us understand an environment that is, in its very essence, distant, foreign and unfamiliar. Claire believes that it is only what we know and love that we protect and, therefore, seeks to create an emotional connection between everyone and this strange environment. So, Claire set up BLOOM Association, which is a cornerstone of all her marine education and lobbying projects. She decided to tell the rest of the world all that she had discovered about the deep sea, in the form of a book and an exhibition entitled The Deep. Both have since become platforms for her marine conservation work. In June 2016, BLOOM won, in a close and long-standing collaboration with the Deep Sea Conservation Coalition and the Pew Charitable Trusts, the total ban of deep-sea bottom trawling below 800 m. of depth, in the whole of Europe. Soon after, Claire and BLOOM embarked on another overarching fight against the destruction of the ocean, and fishers too this time: electric fishing. 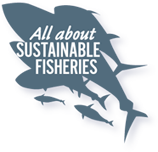 In January 2018, small-scale fishers and BLOOM managed to win an important vote in the European Parliament, which decided that all electric current to catch fish should be banned. The fight is ongoing as industrial fishing lobbies from the Netherlands and elsewhere all have a particular interest in this technological development that allows to save bottom trawling from bankruptcy. Claire Nouvian is president and founder of the nonprofit conservation organization BLOOM, based in Paris and Hong Kong. Her research and activities focus on deep-sea fisheries and shark consumption habits. In Asia, Nouvian and BLOOM’s co-workers aim to improve the degraded conservation status of shark populations by ultimately making shark fin soup a socially unacceptable dish. Nouvian’s approach is designed to make corporations act as trend-setters in society, specifically the luxury segment of the hospitality industry, andto make the banning of shark dishes part of corporate policy. In Europe, Nouvian is dedicated to studying the nature of deep-sea fishing. Her work on this topic has included the organization of a press conference and “science tour” of political entities, a scientific workshop on deep-sea fisheries in an ecosystem-based context, and a legal workshop on deep-sea bottom trawling. She conducted a detailed analysis on the few remaining deep-sea fishing companies in France to reveal that despite receiving substantial public subsidies, the three main fleet owners are chronically unprofitable. While producing this analysis, Nouvian identified public aid to French fisheries as an area worthy of in-depth research and increased transparency. Today, the exhibition and book have reached more than a billion people. Additionally, Nouvian is involved with education through art and science projects engaging students. She lectures on deep-sea fisheries, fisheries negotiations, public fisheries subsidies, and sustainable development communication strategy at several universities including University of Geneva, Sciences Po (Public Affairs and Environmental Diplomacy), AgroParisTech/ENGREF, University of Hong Kong, University of Rhode Island, and University of Zagreb. 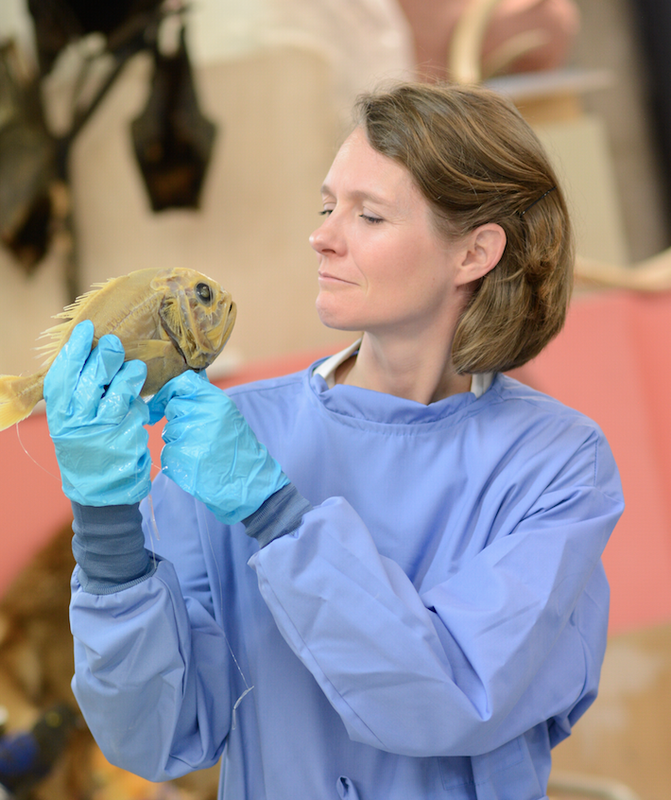 While wonder drew her to the depths of the ocean, finding out about deep-sea fishing prompted Nouvian to focus on combating destructive fishing practices. She developed BLOOM as a base to put an end to deep-sea bottom trawling and advocate before governments and institutions in favor of the protection of the ocean’s depths. Nouvian holds a Bachelor of Arts degree in history from Sorbonne University in Paris. 2007 – Present: Political and corporate advocacy, independent research, public awareness, education, lecturing (The University of Geneva, The Paris Political Science Institute – Sciences Po, The Paris Institute of Technology for Life, Food and Environmental Sciences – AgroParisTech). 2007 – Present: Curator of the exhibition The Deep at the Natural History Museum in Paris (followed by an ongoing international tour of the exhibition). 2006: Author of the book The Deep (Fayard, France / University of Chicago Press, USA with subsequent translations into 8 languages). 2006: Curator of the art exhibition showing the work of Claire Basler at the Bank of China in Hong Kong (part of the “French May” Festival). She also wrote and photographed the artist’s work for the Claire Basler’s catalogue of paintings. 2002 – 2004: Freelance TV Director & Writer (3 films). 1998 – 2002: TV Producer, Executive Producer & Production Coordinator for Télé Images Nature production company (13 films). 1995 – 1998: Freelance Journalist & Journalist Assistant mainly for German press & media. 2012/13: Launch of the competition “Poulpe Fiction” with the associations “Les Atomes Crochus” and “Synlab”. 2012 – Present: BLOOM is on the jury of Sciences Po “Prix de l’Engagement”. 2011 – Present: BLOOM is a member of the Educational Advisory Committee of Ocean Park, a leisure marine-park created in Hong Kong in 1977 which recieves around 5 million visitors per year. 2010 – Present: Art/Science high school contests on the deep ocean in France “2000 Meters Below the Sea” (collaboration with the NGO “Les Atomes Crochus”). 2009 – Present: With the association “Et Demain”, BLOOM co-produced a musical puppet show “”Dernières Nouvelles de la Mer” which demonstrated the problems of overfishing, degrading ecosystems, unsustainable consumption habits, the mess that is by-catch and discards, the extinction of species, the destruction of habits and, importantly, the solutions! 2009: Show called “I Hear the Sea” for the MEEDDM, a co-production between BLOOM & “Et Demain” in partnership with Océanopolis. 2007 – Present: Exhibition The Deep travelled to 7 countries, over 1.5 million visitors. 2006 – Present: Book The Deep published in 10 languages, over 150 000 copies printed. The Market for Shark Liver Oil and Squalene. – Romain Chabrol – in prep. Europe’s Reduction Fisheries. – Megan Bailey and Claire Nouvian – in prep. The Ecological and Socio-Economic Profile of Deep-Sea Fisheries – Claire Nouvian, in collaboration with L. Watling & D. Berger, May 2011. Fish Consumption in School Canteens: Do our children eat at-risk fish species? – Victoire Guilloneau and Claire Nouvian, May 2011. Can Ecosystem-Based Deep-Sea Fishing Be Sustained? – Report of a workshop held 31 August – 3 September, 2010, Neuville-Bosc, France. L. Watling, R.L. Haedrich, J. Devine, J. Drazen, M.R. Dunn, M. Gianni, K. Baker, G. Cailliet, I. Figueiredo, P.M. Kyne, G. Menezes, F. Neat, A. Orlov, P. Duran, J.A. Perez, J.A. Ardron, J. Bezaury, C. Revenga, C. Nouvian. May 2011, University of Maine, Darling Marine Center Special Publication 11-1.